14 - 23 May 2019. 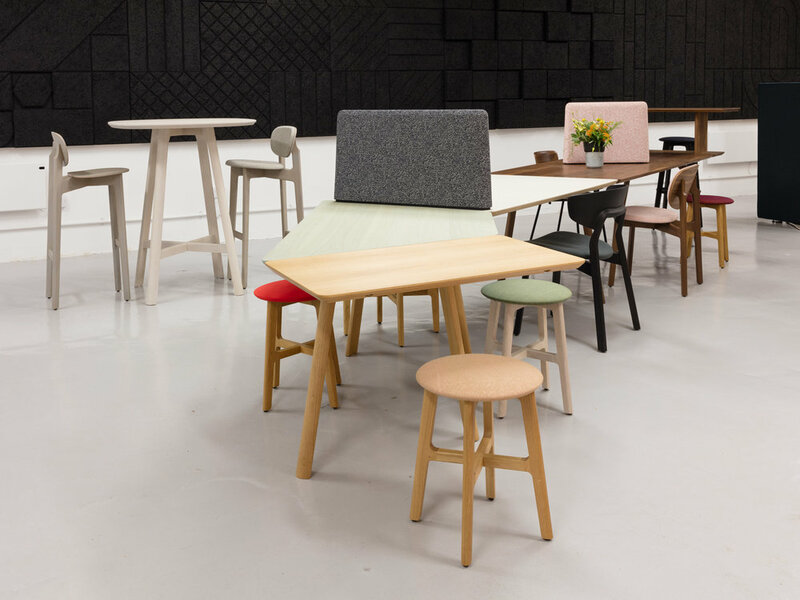 Relay Design Agency is excited to announce the return of Relay represents - a new design destination for Clerkenwell Design Week 2019. Since Relay was established in 2009 we have sought out the best in furniture, lighting and product design, aiming to select outstanding contemporary and sustainable design from leading contract brands. Relay represents brings these brands together, creating a unique resource in a 300sqm venue on Clerkenwell Road, the heart of London’s design district. Seeking to expand the traditional trade fair format, Relay represents will provide a curated, social and engaging environment - a place to meet and discuss new design. The exhibition will be supported by a series of talks and presentations focusing on cutting-edge workplace design, covering acoustics, furniture and lighting. The exhibition will also host UK product launches by Form Us With Love, Gert Wingårdhs, Ingegerd Råman, Läufer & Keichel, Formstelle and Joel Karlsson (pictured). Relay represents is a temporary exhibition arranged by Relay Design Agency to coincide to with Clerkenwell Design Week 2019. Visit us Monday to Friday (9.30 - 6pm) between 14 and 23 May.